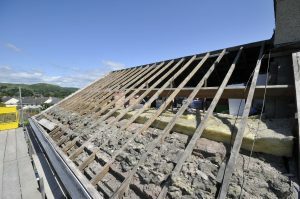 Roof repairs need to be taken seriously. This usually starts off as a couple of drops start to leak in your living room, but left unattended to for prolonged periods of time you might have a roof cave it. This is dangerous and you need to call in the experts right away. It is also a good idea to run regular roof maintenance checks to ensure that your home is in good condition. We begin every job by diagnosing the root of the problems. We do not jump into a full repair straight away – we take our time to figure out the causes in the long run. This will save you thousands of dollars and we’d even take pictures of the roof to show you what is going on up there. We always try to take the conservative approach of roof repairs, while ensuring that the safety of your home is not compromised. Our services include the investigation of leaks, repairing services, flashing repairs and replacement, preventative maintenance and cleaning of gutter and down pipes. Call us right way to get your quote!